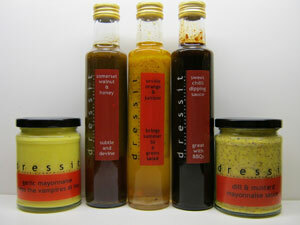 Some of the Dressit range. Robert Imlach makes and supplies the Roberts Sauces and Dressit range of salad dressings and marinades to retail outlets, trade customers and direct to the consumer. 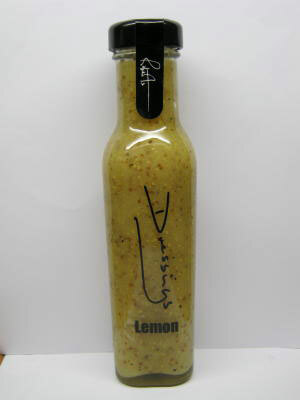 He can also provide small batch own label manufacture for dressings and marinades. Products include Chilli Dipping Sauce, Roberts Original Honey and Mustard Dressing, Seville Orange and Juniper Dressing, and other bespoke products.